Adjective: of the former holder of an office, having retired but allowed to retain their title as an honour. Rev Dr Peter Adam was appointed to the role of Vicar Emeritus in 2012. This honorary role allows Peter to continue his teaching and preaching ministry under the auspices of his local church. Peter Adam was born in Melbourne in 1946. He studied classical music, then trained for the ministry at Ridley College from 1967-69. He was ordained in St Paul’s Cathedral Melbourne in 1970, and served curacies at St James’ Ivanhoe, and St Andrew’s Rosanna. He then went to England, where he completed his London BD at King’s College, and served at St George’s Queen Square. He returned to Melbourne for a year, lectured at Ridley, and was curate at St Thomas’ Essendon. He then returned to London, where he gained his MTh in New Testament, and then moved to Durham in 1975. In Durham Peter was a tutor at St John’s College, and then lecturer in Systematic Theology. He also ministered at St Cuthbert’s Durham and St Aidan’s Framwellgate Moor. He gained his Durham University PhD in systematic theology on the theme of ‘The Imitation of Christ in the theology of Dietrich Bonhoeffer’ in 1981. Peter returned to Australia in 1982 to become Vicar of St Jude’s Carlton, where he served for twenty years. During that time he also lectured at Ridley, was Archdeacon for Parish Development, Anglican Chaplain at Melbourne University, and was elected a Canon of St Paul’s Cathedral. He then served as Principal of Ridley Melbourne from 2002-2012. He is now Vicar Emeritus of St Jude’s Carlton. In 2011 he was presented with a Festschrift to mark his 65th Birthday: Serving God’s Words: Windows on preaching and ministry, eds Paul A Barker, Richard J Condie, & Andrew S Malone, Nottingham, IVP. In 2012 Peter was awarded an OAM for his service to the Anglican Church and to theological education. He has spoken at preaching training conferences, and Bible and missionary conventions throughout Australia, and in England, Scotland, Ireland, Northern Ireland, Switzerland, New Zealand, Singapore, India, Pakistan, Sri Lanka, Canada and USA. He has written a number of books, booklets, articles and chapters. His books include: Reading Ezra and Nehemiah Today: Walking in God’s words, Aquila Press, 2014; ‘I have loved you,’ says the Lord: The Message of Malachi, IVP, 2013; The ‘Very Pure word of God’: The Book of Common Prayer as a Model of Biblical Liturgy, Latimer Trust, 2012; Gospel trials in 1662: To Stay or To Go ,Latimer Trust, 2012; Written for Us: Receiving God’s Words in the Bible, IVP, 2008; Hearing God’s Words: Biblical Spirituality, IVP, 2004; The Majestic Son, a commentary on Hebrews, Aquila Press, 2004; and, Speaking God’s Words: A Practical Theology of Preaching, IVP, 1996/ Regent College Publishing, 2004. A complete list of his publications is found on this website. He continues his ministry of writing, speaking, mentoring, and training others in ministry. In 2019 he will speak in Melbourne, Sydney, New Zealand and Sri Lanka. He is currently writing a book on wisdom in ministry. He also supervises doctoral research students for Ridley College. 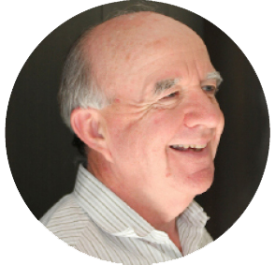 Peter serves on the Council of The Gospel Coalition Australia, and is Chairman of TGCVictoria. He is a director of the Leon and Mildred Morris Foundation. He is also a Vice-President of the Church Missionary Society Australia, and of the Australian Fellowship of Evangelical Students; and on the advisory panel of Langham Partnership Australia. He is also a Canon Emeritus of St Paul’s Cathedral Melbourne. Peter lives in North Carlton. He likes good friends, classical music, reading history and fiction, spending time at the beach, walking his dogs, and tending his mechanical clocks.